The Heart of Christmas musical is a story within a story. Ruth, a young girl who escapes World War II in Europe, finds a new home and family in America. She learns about Christmas for the first time as her new grandmother reads her a book called The Servant King, a family favorite passed down from generation to generation. 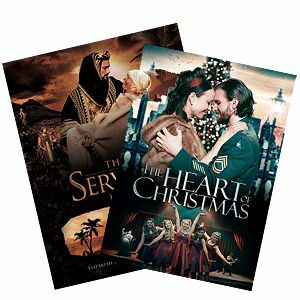 Now you can get both The Heart of Christmas DVD and The Servant King book in The Heart of Christmas Package. Enjoy the music and traditions of an American family Christmas that are a joy for all ages.